The Republic of Haiti, is the second-oldest republic in the Western Hemisphere just after the United States. It is a small country located in the Caribbean Sea between Cuba and the Dominican Republic. Haiti has years of political and economic instability however and it is one of the poorest nations in the world. Most recently Haiti was struck by a catastrophic magnitude 7.0 earthquake which damaged its infrastructure and killed thousands of its people. The first European habitation of Haiti was with the Spanish when they used the island of Hispaniola (of which Haiti is a part) during their exploration of the Western Hemisphere. French explorers were also present at this time and conflicts between the Spanish and French developed. In 1697, Spain gave France the western third of Hispaniola. Eventually, the French established the settlement of Saint Domingue which became one of the wealthiest colonies in the French Empire by the 18th century. During the French Empire, slavery was common in Haiti as African slaves were brought to the colony to work on sugarcane and coffee plantations. In 1791 though, the population of slaves revolted and took over control of the northern part of the colony, which resulted in a war against the French. By 1804 however, local forces beat the French, established their independence and named the area Haiti. After its independence, Haiti broke into two separate political regimes but they were unified in 1820. In 1822, Haiti took over Santo Domingo which was the eastern portion of Hispaniola but in 1844, Santo Domingo separated from Haiti and became the Dominican Republic. During this time and up until 1915, Haiti underwent 22 changes in its government and experienced political and economic chaos. In 1915, the United States military entered Haiti and remained until 1934 when it again reclaimed its independent rule. Shortly after regaining its independence, Haiti was ruled by a dictatorship but from 1986 to 1991, it was ruled by various temporary governments. In 1987, its constitution was ratified to include an elected president as head of state but also a prime minister, cabinet and supreme court. Local government was also included in the constitution via the election of local mayors. Jean-Bertrand Aristide was the first president to be elected in Haiti and he took office on February 7, 1991. He was overthrown that September however in a government take-over which caused many Haitians to flee the country. From October 1991 to September 1994 Haiti had a government dominated by a military regime and many Haitian citizens were killed during this time. In 1994 in an attempt to restore peace to Haiti, the United Nations Security Council authorized its member states to work toward removing the military leadership and restore Haiti's constitutional rights. The U.S. then became the major power in removing Haiti's military government and formed a multinational force (MNF). In September 1994, U.S. troops were prepared to enter Haiti but Haitian General Raoul Cedras agreed to allow the MNF to take over, end military rule and restore Haiti's constitutional government. In October of the same year, President Aristide and other elected officials in exile returned. Since the 1990s, Haiti has undergone various political changes and has been relatively unstable both politically and economically. Violence has also ensued in most of the country. 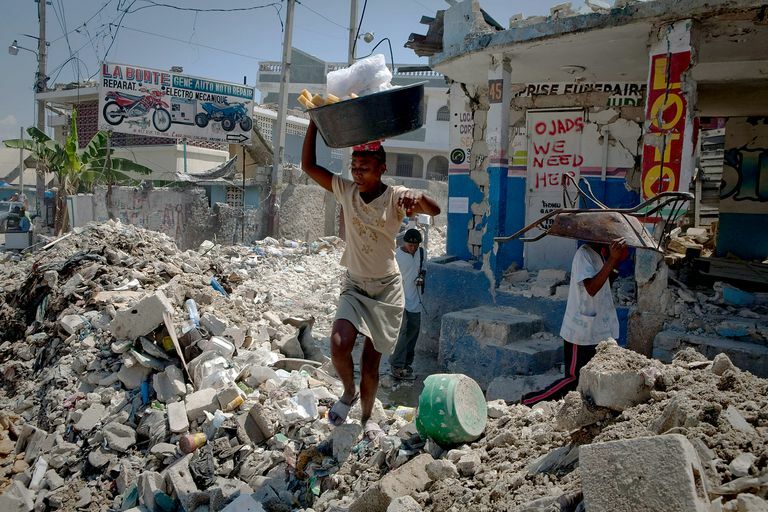 In addition to its political and economic problems, Haiti has most recently been impacted by natural disasters when a magnitude 7.0 earthquake struck near Port au Prince on January 12, 2010. The death toll in the earthquake was in the thousands and much of the country's infrastructure was damaged as its parliament, schools and hospitals collapsed. Today Haiti is a republic with two legislative bodies. The first is the Senate which comprises the National Assembly while the second is the Chamber of Deputies. Haiti's executive branch is made up of chief of state whose position is filled by the president and a head of government which is filled by the prime minister. The judicial branch is made up of Haiti's Supreme Court. Of the countries in the Western Hemisphere, Haiti is the poorest as 80% of its population lives below poverty level. Most of its people contribute to the agricultural sector and work in subsistence farming. Many of these farms, however, are vulnerable to damage from natural disasters which has been made worse by the country's widespread deforestation. Larger scale agricultural products include coffee, mangoes, sugarcane, rice, corn, sorghum, and wood. Although the industry is small, sugar refining, textiles, and some assembly are common in Haiti. Haiti is a small country located on the western part of the island of Hispaniola and is west of the Dominican Republic. It is slightly smaller than the U.S. state of Maryland and is two-thirds mountainous. 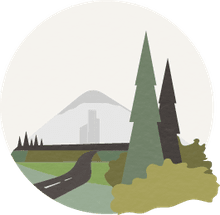 The rest of the country features valleys, plateaus, and plains. Haiti's climate is mainly tropical but it is also semiarid in the east where its mountain areas block the trade winds. It should also be noted that Haiti is in the middle of the hurricane region of the Caribbean and is subject to severe storms from June to October. Haiti is also prone to flooding, earthquakes, and droughts.